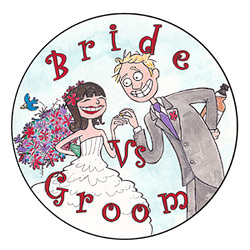 Welcome to the Bride Vs Groom Find A Supplier Page! Here at Bride Vs Groom we love connecting fantastic couples with amazing suppliers and so to aid your search we’ve created this brand new directory, featuring some of the most fantastic suppliers from around the world! Whether you’re looking for jaw-dropping photography, beautiful wedding gowns, awesome entertainers or a stunning wedding venue this is where you’ll be able to find it! To start your search you can either click on the categories below, use the red search bar or scour the map for the listed suppliers in your area. Our list of suppliers is growing all the time so if you can’t find what you’re looking for don’t forget to check back soon! If you're a wedding supplier and would like to be featured on our growing list, check out our "join the directory" page for details on how to join!